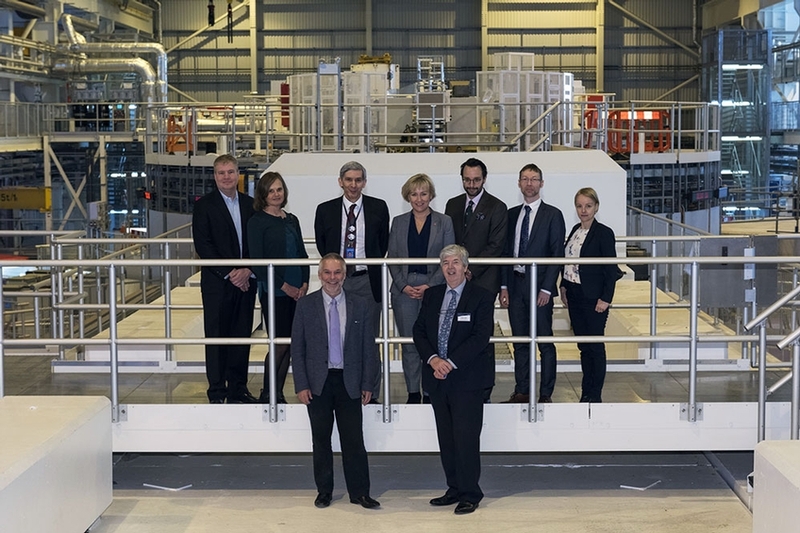 The Swedish Minister for Higher Education and Research, Helene Hellmark Knutsson, visited the ISIS Neutron and Muon Source at the STFC Rutherford Appleton Laboratory near Oxford on March 19th 2018. Helene Hellmark Knutsson, Minister for Higher Education and Research in Sweden, with Dr Robert McGreevy, Director of STFC’s ISIS Neutron and Muon Source. 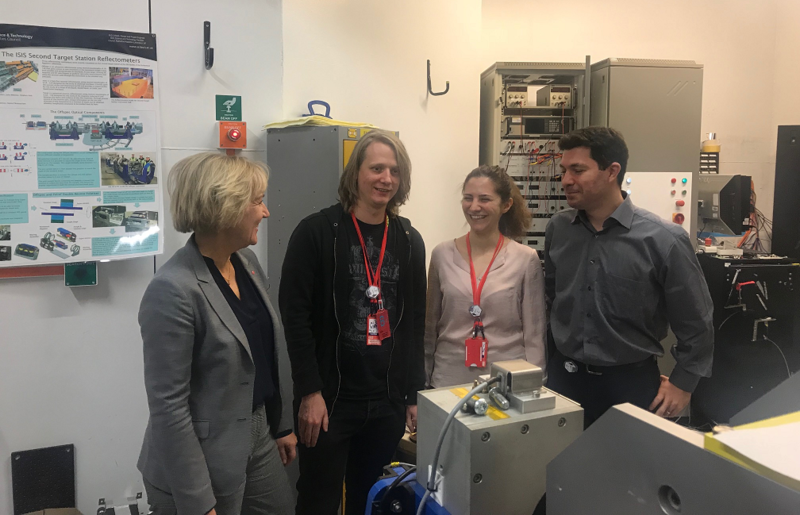 As part of a broader UK visit in which she was meeting with Sam Gyimah, the UK Minister of State for Universities, Science, Research and Innovation, Helene Hellmark Knutson visited STFC’s Rutherford Appleton Laboratory. The Minister was shown the contribution the UK is making to the European Spallation Source (ESS) by showcasing the accelerator-based facility that the ESS is modelled on. The ISIS neutron and muon source, as the ESS will in the future, supports research teams in addressing significant global challenges that range from healthcare to fuel technology. During her visit, she also had the opportunity to learn about research projects being conducted with Uppsala University and to discuss with graduate students Shirin Nouhi and Emil Gustafsson as well as Professor Adrian Rennie. The Minister especially showed interest in the international work regarding environment and health. (Left to right) Helene Hellmark Knutsson, Emil Gustafsson, Shirin Nouhi and the RAL scientist Max Skoda. Read Professor Adrian Rennie's Research Highlight on SNSS.se!